Mary had been fighting breast cancer for nearly four years. Late last year, the cancer spread to her brain. Last weekend, Mary suffered a heart attack in hospital. She was revived but remained in a coma. Mary did not regain consciousness. She passed away peacefully on Wednesday 18 January 2012 in a London hospital, aged 44 years and one month. 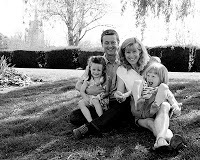 Mary leaves her loving husband and life partner of 20 years, Sam Sheppard, to raise their 5 year old son, Ned and 4 year old daughter, Lola, in their beautiful Hertfordshire home, The Ashwell Bury. Mary was born 18 months after me and was a much loved older sister to our sisters, Anne and Jill. My parents, Betty and Tony, raised a head-strong girl in a loving home who blossomed into a wonderful, free-spirited woman. After gaining her Bachelor of Education at the University of Tasmania in 1989, Mary left Tasmania in search of adventure. After a year in Brazil she went to London where she accepted a job in the French ski resort town, Meribel. It was on this working holiday, in a resort café queue, that Mary met Sam. Mary returned to England and was a primary school teacher in Brixton. In a short period of time Mary moved in with Sam, who lived in a house on his father’s farm. Mary and Sam were married in Colorado in 1996. Mary held other teaching jobs before moving to the private sector to become an ICT teacher trainer. She proved to be a great success in this role and won her employer’s Project Manager of the Year Award in 2001 for, among other accomplishments, leading her ICT Teacher Training team to achieve the only unqualified ‘A’ grade audit status, awarded by the UK Teacher Training Authority, out of 64 national teaching service providers. Mary then progressed to become a nationally qualified school inspector. When Mary became a mother, at the relatively late age of 38, it was a surprise and delight for all of us. Ned (born April 2006) and later, Lola (born December 2007), were her greatest accomplishments – two delightful children, whom she adored. Even though Mary had a very full life in the UK, she always made time to return to Australia for a few weeks, almost every year to visit family and friends during the Australian summer. After the pain of my marriage breakdown in 2002/2003, Mary wrote me a wonderfully uplifting and positive card that included the line, ‘Life is too short and too precious to be sad or miserable’. That line perfectly reflects who she was and how she lived her life. Mary lived a wonderful life that touched so many people. I will miss her deeply for the rest of my life. Be peaceful, my precious sister. I'm so sorry to hear it Ross and my thoughts are with you. She sounds like a wonderful woman and a much-loved sister, daughter, wife and mum. Ross – that is very sad news for you and your family, and must be devastating for her children. I'm glad you had a close relationship with your sister and that she gave you support and love when you needed it. Take care, Jenni. 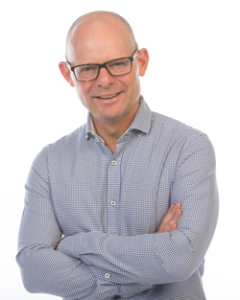 I have been a long-time subscriber to your newsletter, although I am no longer part of the recruitment industry I love to read your views and look forward to your newsletter. I just wanted to write to tell you how terribly sorry I am to read your news today, although even as I'm typing this the words feel very inadequate. To you and your family please know my thoughts are with you. What a beautiful tribute to your sister but just too close for me as I have a brother with terminal cancer at the moment – my younger brother. I hope when the time comes I can find well-chosen and moving words like you have. It was a privilege to read it and I thank you for sharing it with us all. My thoughts go out to you, Sam, Ned, Lola and family. Very sad news about the passing of your Sister Mary. After reading your words it feels like I know Mary, very touching. She will be missed dearly. I am very sorry to hear about your loss. She seems to have been a beautiful soul and a very strong woman. I am sure she wouldn't want you to be sad and hurt. I hope you will be able to heal from this sorrow. My best wishes are with you and yours! Ross, I'm so very sorry for your loss. Words do feel so very inadequate at times like this. Having lost one of my sisters suddenly in a car accident 25 years ago, it's true about time lessening the pain but you're right, you will always miss her. My thoughts are with you and your family. We don't know one another. I am miles away in Lebanon. My sincerest condolences and may Mary's soul rest in peace. Death is hard for those who remain behind but I always say "they who pass away are the formers and we are next." They go to a place where there is no pain, no saddness, no sorrow and hopefully we will meet with our loved ones again. My family and I have been greatly touched by the many cards, emails, flowers, visits, and calls we have received. It has been very comforting to have so many people, including people we have never met, express their condolences and support. I fly to the UK tonight for Mary's funeral next Wednesday (1 Feb) in Ashwell and I will carry with me the goodwill of many, many, people. Very sorry to hear Ross – all the best to you and your family. I am so sorry to hear of this terrible loss, mary taught me in primary school and she was such a viviacious and interesting lady, who always had time for her pupils. All of us who were taught by her at Icknield Walk in Royston, near Ashwell, are grieved to have heard this news. Our thoughts and condolences are with you and the family.